George’s family was excited to welcome his newborn baby to the family. Just a day before George’s wife delivered their child, he was taken to hospital for the unbearable back pain. They thought he would be given some medicines for the pain but the scan revealed something more serious. He was diagnosed with cancer. George is 29 years old and stays with his family in Bangalore. He was complaining about back pain every now and then but no one took it seriously including him until he collapsed on the floor. He was rushed to the hospital. They thought that he had a severe muscle cramp but the very first scan revealed that he had cancer. 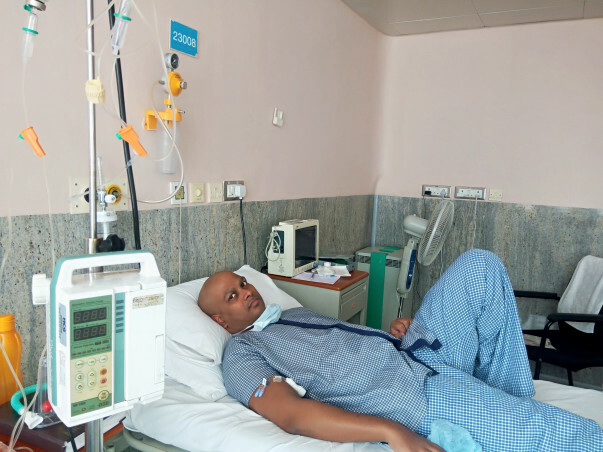 He went through 3 cycles of chemotherapy and a stem cell transplant. George was totally heartbroken when his thoughts rushed to his wife and the newborn baby. But having no option left, his wife gathered all the strength and started working in a church for a very meager salary to feed her baby. George’s father is a 65-year-old man working as a Security Guard. He gave up his job to be with his son throughout the treatment. No one else, even George’s wife and mother are allowed inside the room for the fear of infection. He is staying along with George ever since he was hospitalized from Jan 15th, 2017. George has already exhausted the insurance amount of 10 lakh rupees. 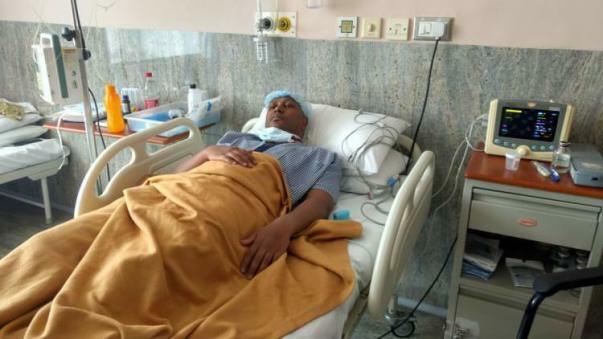 His father borrowed 4 lakh rupees from his friends and family to pay for the stem cell transplant surgery. Father who was earning 14000 rupees a month has also given up his job. With her infant in hand, his wife is now working hard at the church for whatever money she can gather. They have absolutely no income to continue the treatment. 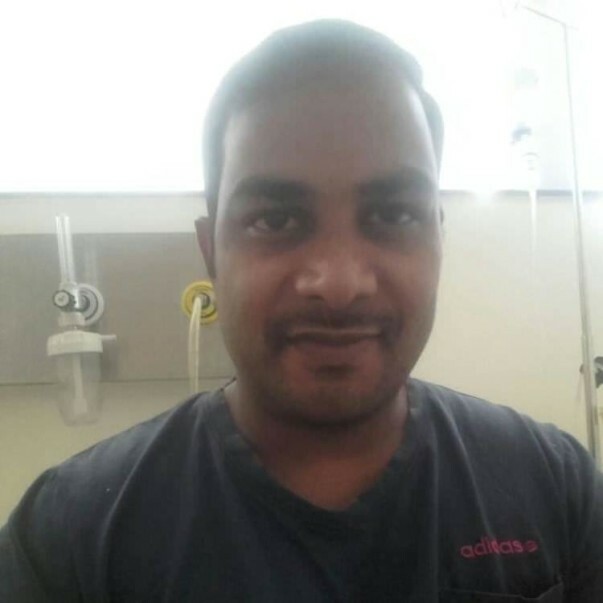 Your contribution can help George to recover and live with his family. Unfortunately, with inexplicable grief, we're having to inform you all that George passed away. He was discharged and was on medication. However, later on, he started having complications and his health started worsening. He eventually stopped responding to the treatment and we couldn't save him. All the funds raised have been utilized for his medical expenses so far. George Dixon got admitted again in the hospital for supportive care on 5th February 2018 as he fell ill. 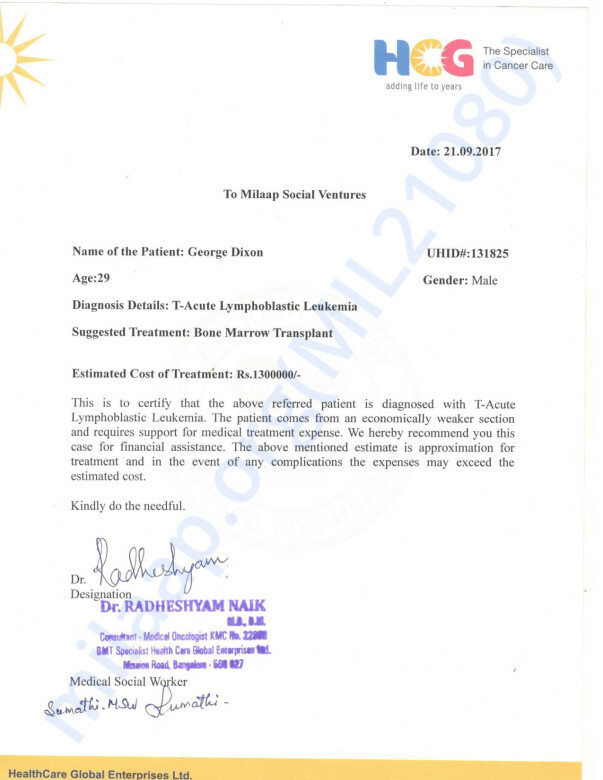 He will be undergoing immunotherapy as his next treatment suggested by Doctor. Thank you for the support. Will keep you posted about his health. Do pray for his health and speedy recovery. Here is a quick update on George. 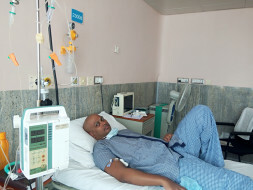 George got admitted in the hospital for 3 days for supportive care as he was not feeling well. He got discharged on 11th December and now his condition is good. Will keep you posted, thank you so much for your love and support. Praying for you. May God give complete healing. God Bless and get well soon may the force be with you .